Learn to make all the parts needed to create your own professional quality jewelry. 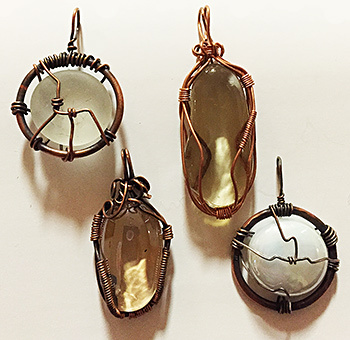 Practice using wire, tools, stones and beads. Add to your own jewelry box, make fabulous gifts or begin your own jewelry business. You will leave this class with an abundance of design ideas, sample parts and a finished pendant. Bring your own favorite stone, or select from the class supplies.